LAFCO is a New York based home fragrance and body care company that refines and innovates classical approaches to personal care and the art of perfumery. Founded in 1992 by Jon Bresler. Bresler has built a company whose mission is to create products that change everyday tasks into fresh and luxurious experiences. 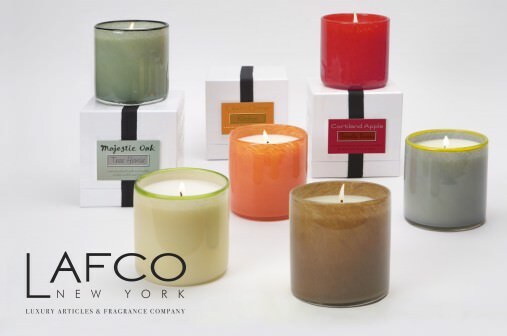 This page will house all the official reviews we do on LAFCO luxury candles. Earthy Marigold flowers, elixirs of classical aromatherapy, are awakened by notes of sparkling white peach, ripe with nectar but slightly tart. A sultry base of rare sandalwoods and delicate white musk distinguishes this irresistibly delicious fragrance.